Monson/Virginia - Patricia A. (Grammo) Scheid passed away September 4, 2018 surrounded by the love of her family. Patricia was born in Palmer, MA November 28, 1947 to the late Edmund and Marion (Pierre) Grammo. She was a graduate of Monson High School and an Army Veteran. 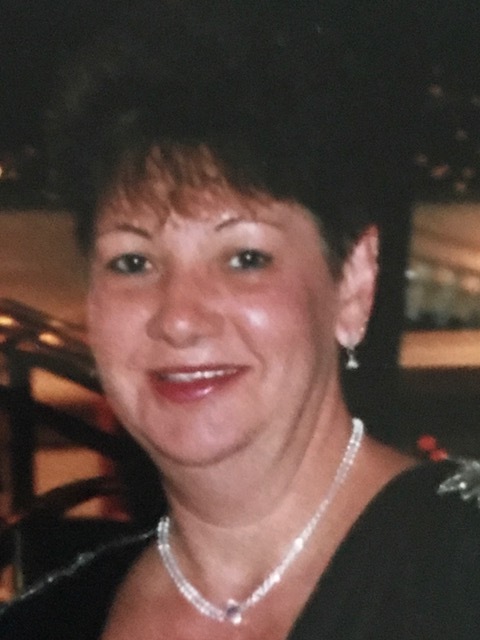 She lived the majority of her life in Monson, was a communicant of St. Patrick's Church and for many years was a bakery manager for Big Y Supermarkets. Patricia lived the last 7 years in the foothills of the Blue Ridge mountains in VA where she enjoyed nature and the wildlife such as the deer that she would see on a daily basis. She also enjoyed fishing, camping, knitting and was an avid reader. But her greatest joy was time with her family. Patricia leaves her longtime companion Ray Friedland of VA; three sons, Daniel D. Andrejack and his companion Marilia Schuster of NC, Adam M. Andrejack of Monson, Scott C. Scheid of Monson; daughters Jessica L.Oliveira and her companion Tony Lee of Ludlow, MaryJo Bajc and her husband Daniel of Ohio; two sisters, Marion Appleby of Monson and Betty Mitchell of Hampden; twelve grandchildren, Anthony and Justin Oliveira, Destiny Scheid, Adrianna and Julianna Andrejack, Jacklyn Bajc, Daniel Bajc, Jr. (Kelcey), Joshua Bajc (Melissa), Michael Bajc (Brittney), Taylor Stebelton (Keith), Austin Bajc and Shane Bajc (deceased): and one great grandchild Keith Stebelton Jr., as well as many nieces and nephews. Patricia was predeceased by her brother Robert Grammo. Funeral services will be held Tuesday, September 11, 2018, beginning at 9:30 am in Lombard Funeral Home 3 Bridge St. Monson with Liturgy of Christian Burial at 10:30 am in St. Patrick's Church. Burial with Military Honors will follow at Bethany Cemetery in Monson. Visiting hours will be held Monday, September 10th from 6-8 pm in the funeral home. Memorial contributions may be made to The National Pancreatic Cancer Foundation.